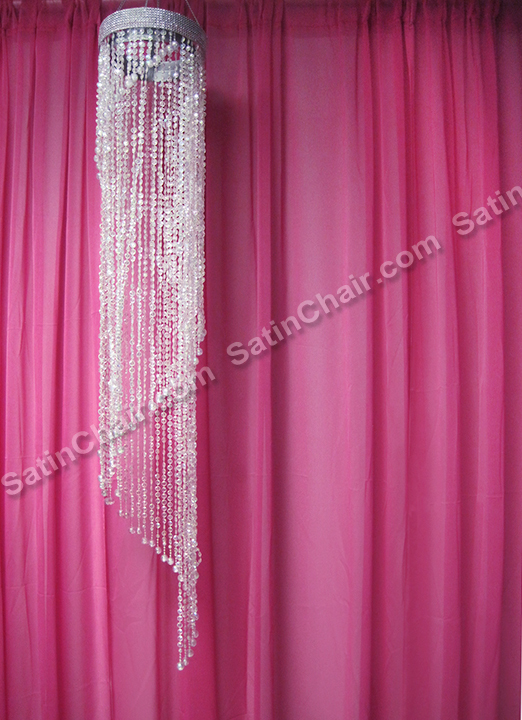 We rent a wide range of backdrops for both ceremony and reception use, weddings, and Cotillion, Quinceanera, Sweet Sixteen, Bar Mitzvah, Bat Mitzvah and other coming of age event use. 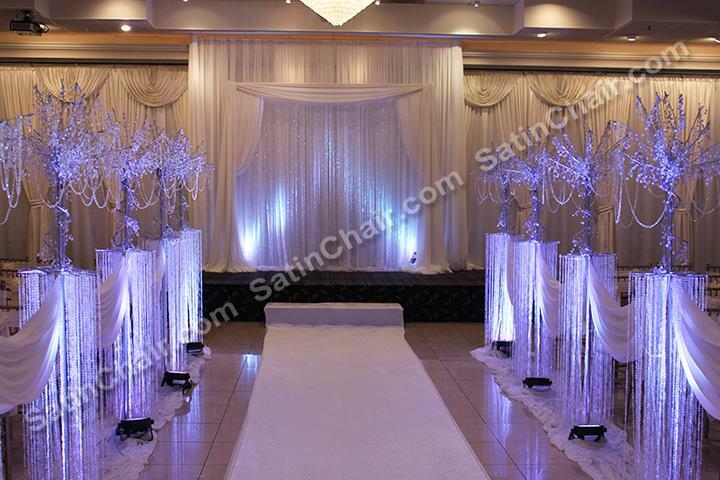 Our clients often add uplights, fancy tie-backs, crystal bead panels, silver mirror accents, suspended crystal chandeliers or, our latest option, the Fairytale Twinkle lights. 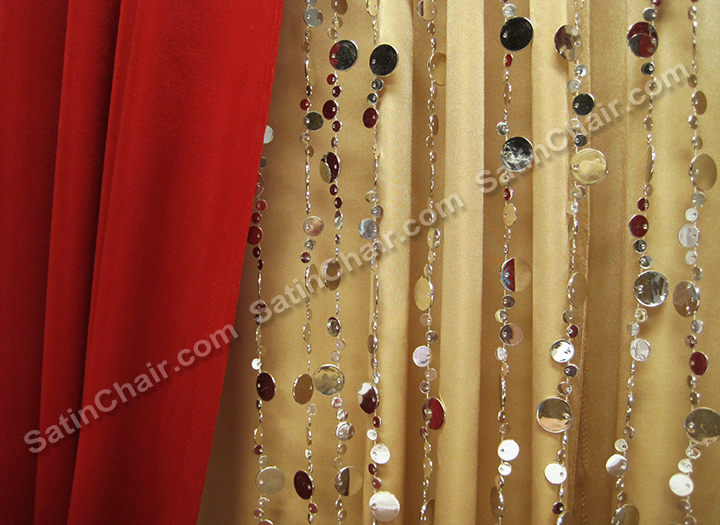 These may be placed in front of the fabric or behind, for a magical glow effect for your event. 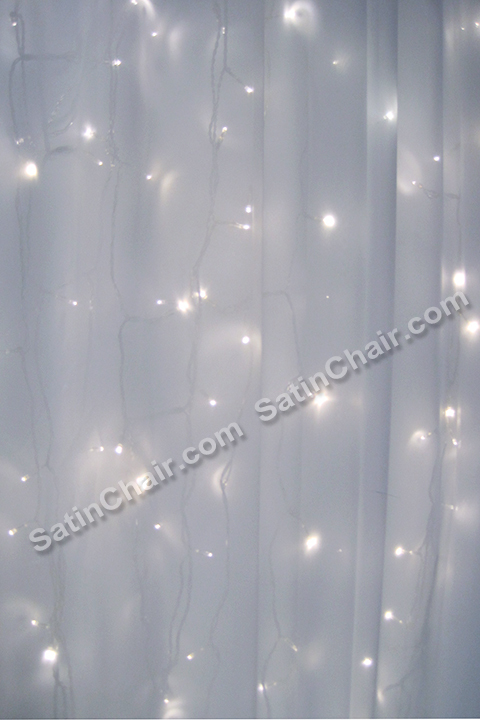 We recommend renting the sheer white fabric with the Fairytale light panels behind the fabric (unless the backdrop is intended to conceal something at the event, in which case we have a more opaque fabric which will work too). 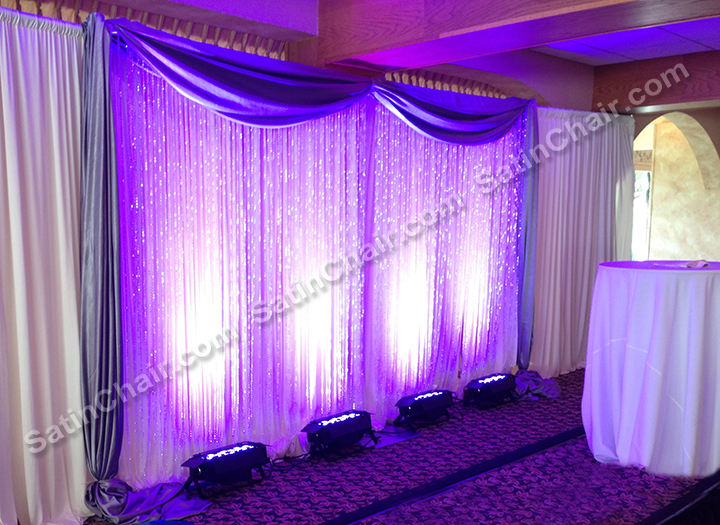 The Fairytale lighting panels come in 3 foot wide sections, so decide whether you’d like them to be placed all the way across (spanning the length of your backdrop), or just a few feet in the center portion of the backdrop. 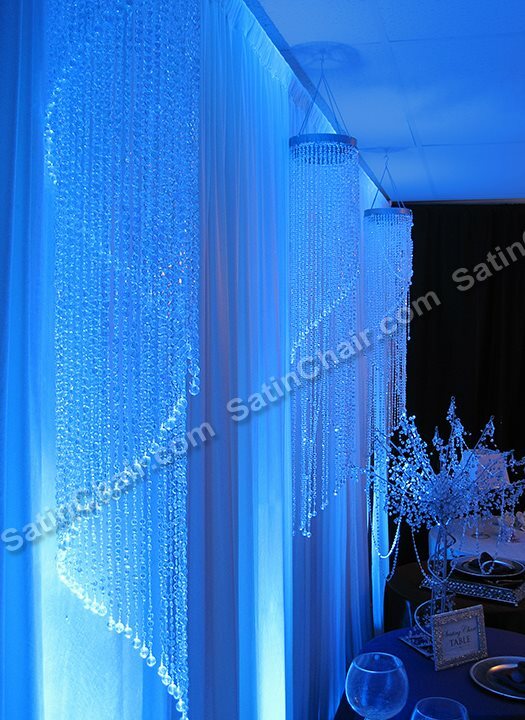 We also rent special icicle fairytale lights for your head table or cake table. 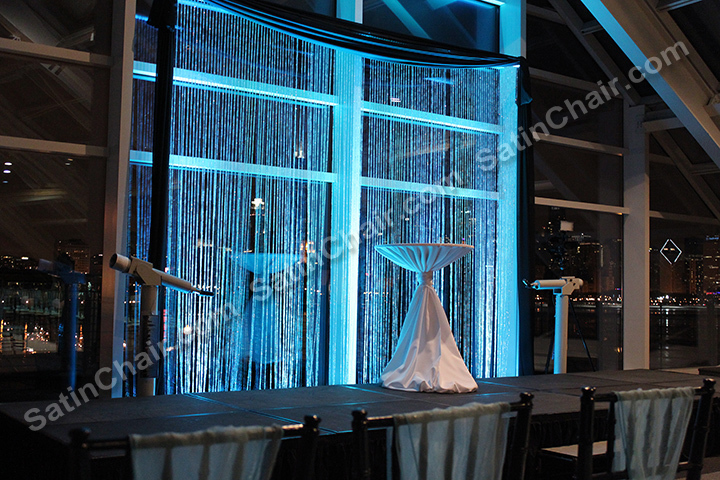 Need event ideas or suggestions? 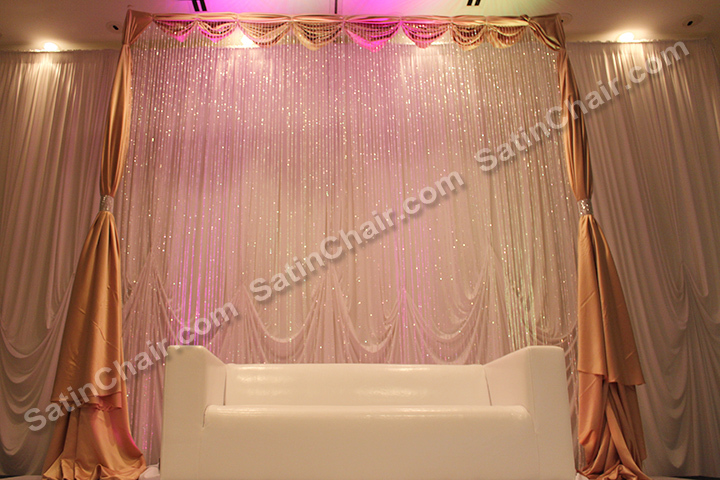 Call us, we’ve probably done your theme and chosen color palette before! 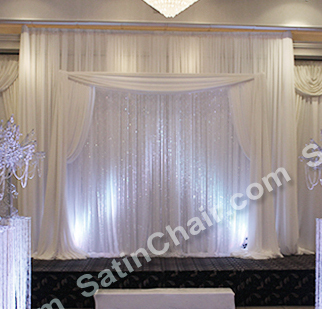 We also handle fabric arch and canopy rental for indoor or outdoor use. 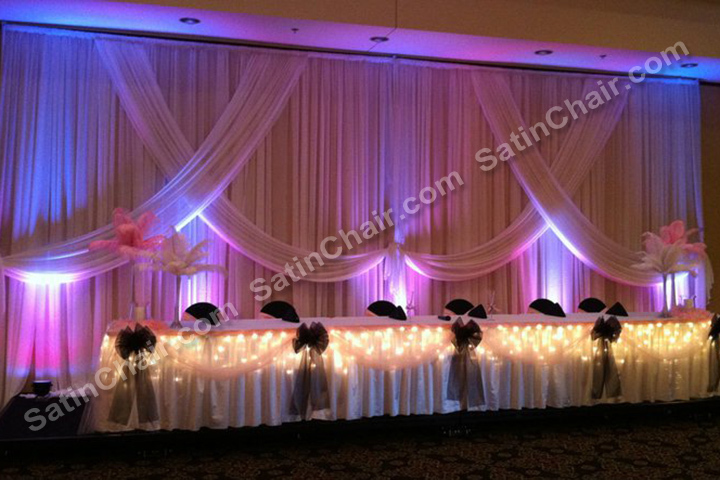 This entry was posted in Uncategorized and tagged "head table", "oak brook", arch, backdrop, backdrops, bar mitzvah, bat mitzvah, bead, cake table, ceremony, chandeliers, color, cotillion, crystal, downers grove, event, fabric, fairytale, fox valley, glen ellyn, glow, icicle, ideas, il, indoor, lights, Lombard, magical, mirror, naperville, outdoor, quinceaneara, range, reception, rent, rosemont, sheer, silver, sweet 16, sweet sixteen, theme, twinkle, twinkle lights, uplights, wedding ceremony, weddings, wheaton, white, wide, winter, winter wonderland, wonderland. Bookmark the permalink.